Let’s face it, most embroiderers do about 80% of their embroidery with a few core colors. Black, white, maybe a red and a blue, maybe some colors specific to logos in their area, but most embroidery is done with a fairly consistent palette. 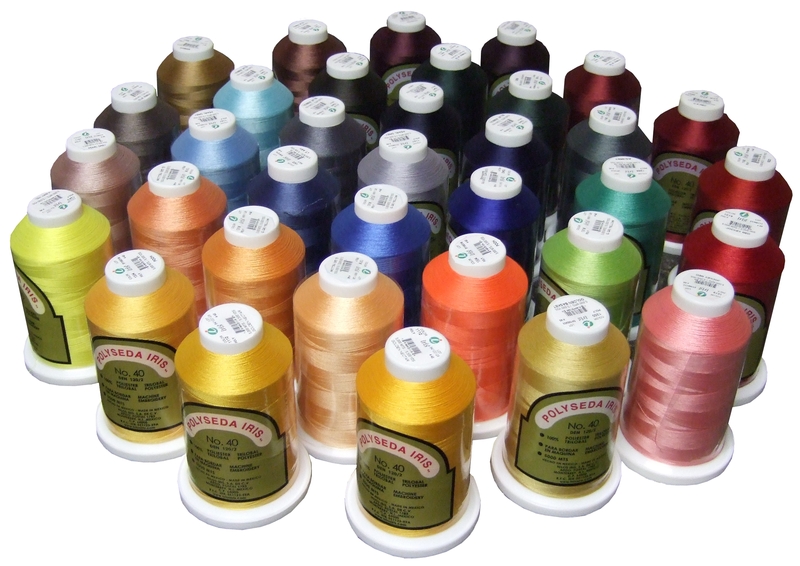 The rest of the thread embroiderers buy is for one offs, jobs that may only happen once, which are special requests from a customer, or which may be small jobs which won’t use an entire cone of thread. That thread may never get used again, and generally forms what we call the “thread museum”, the colors that are always on display, but rarely, if ever, used. With care and proper storage, that thread can last forever, which is nice, but not vital. What really matters is the thread that accounts for the most expenditure of budget and stitches per garment. We know that, for many embroiderers, converting from one thread manufacturer to another is like going to the dentist. No one really likes doing it, and you may not do it at all unless you’re in pain. Our parent company has gone through a conversion process a few times, so we understand it can be a big undertaking. We also know it can be very worth the time and effort. Because we understand what conversion involves, we’ve also developed some tools to help make the process easier. One tool is our online thread cross reference converter. We’ve already done the conversions for a lot of the popular thread brands in both polyester and rayon. All you have to do is access the converter and search for the brand and number you want to convert. If we have an acceptable match, you’ll find the number you need and can click it to see the Iris Thread match. Another option for conversion is to contact us directly and ask for our help. We have decades of experience in color matching and can easily help you convert your colors. All you would need to do is get us a list of the core colors you currently use and want to convert, and we would do the rest. We even understand digitizing and setting up colors for embroidery machines, so we may be able to offer advice and support in that area too. Remember, too, that converting your core colors is less work than converting your entire thread museum. Since your core colors account for roughly 80% of your embroidery work, those are the colors that will turn most frequently. If you are interested in obtaining a sample of Iris Thread to try or in converting your current thread inventory to Iris, talk to your account executive or our customer service staff about what programs may be available.